A computer program is a collection of instructions, or statements (also called code) carried out by the computer's CPU. These instructions can be written in many different languages. Except for operating systems and utilities, all the categories of programs listed in the preceding section are application programs. These programs are developed to help users solve problems or perform tasks, such as sending mail messages, editing text, or finding a specific article in a library. Application programs are usually composed of many files. Some of these files contain instructions for the computer, whereas other files contain data. On DOS- or Windows-based PCs, some common extensions for program files are .exe (executable), .dll (dynamic link library. ), .ini (initialization), and .hlp (help). These extensions define the type of file. By default, most pro-gram files are stored in the folder that bears the application's name or an abbreviation of it. To view a list of the files needed to run an application, you can open that application's directory or folder. The system software that controls your computer also includes many files. Although all the files in the program's folder are considered parts of the program, usually one file represents the core. This file is often called the executable file because it is the one that the computer executes when you launch the program. On PCs running DOS or Windows, the executable file has the same name as the program (or an abbreviation of it), plus the extension .exe. When you launch a program, the computer begins reading and carrying out statements at the executable's main entry point. Typically, this entry point is the first line (or statement) in the file, although it may be elsewhere. After execution of the first statement, program control passes, or flows, to another statement, and so on, until the last statement of the program has been executed. Then the program ends. The order in which program statements are executed is called program control flow. 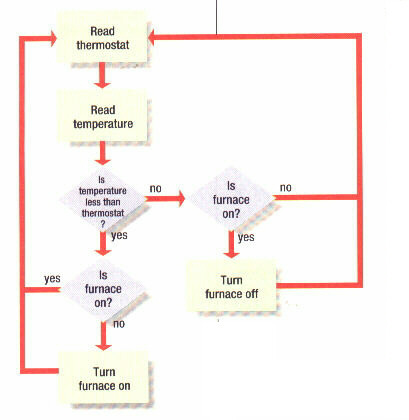 The example in the below picture shows the flow of a small program that controls a furnace. The program constantly checks the thermostat setting and current temperature. If the current temperature is at or above the thermostat setting, the program executes the statements that turn off the furnace. If the current temperature is below the thermostat setting, the program executes the statements that turn on the furnace. One element that most computer languages have in common is variables--placeholders for data being processed. For example, imagine you are writing a program that prompts users to enter their ages. You need a placeholder, or variable, to represent the data (different ages) they enter. In this case, you might choose to name the variable Age. Then, when a user enters a number at the prompt, this data becomes the value of the variable Age. If the value of Age is 20, the result of this instruction is 22; if the value is 30, the result is 32; and so on. Algorithms are the series of steps by which problems are solved. Algorithms have been worked out for solving a wide range of mathematical problems, such as adding numbers or finding a square root. Algorithms represent solutions to problems. The steps to the solution (instructions) remain the same, whether you are working out the solution by computer or by hand. is a way of referring to the square root's function. The (x) after the name of the function is the argument. You use arguments to pass input to functions as the program runs. In this example, x is a variable representing a number. If x is equal to 12, then the function will find the square root of 12. After the function finds the square root, it returns this value to the program. You can then use the value in other calculations. Different computer languages use different names, such as subroutines, procedures, and routines, for these blocks of reusable code. There are subtle differences between these terms, but for now, the term "function" will be used for all of them. Until the 1960s, relatively little structure was imposed on how programmers wrote code. As a result, following control flow through hundreds or thousands of lines of code was almost impossible. Programmers, for example, often used goto statements to jump to other parts of a program. A goto statement does exactly what the name implies. 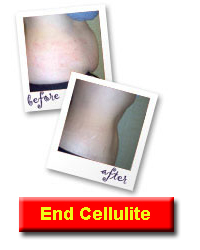 It identifies a different line of the program to which control jumps. (It goes to.) The issue with goto statements is identifying how program control flow proceeds after the jump. Does control return to the jumping-off place, or does it continue at the new location? Structured programming evolved in the 1960s and 1970s. The name refers to the practice of building programs using a set of well-defined structures. One goal of structured programming is the elimination of goto statements. Software developers have found that using structured programming results in improved efficiency, but they continue to struggle with the process of building software quickly and correctly. Reuse is recognized as the key to the solution. Reusing code allows programs to be built quickly and correctly. Functions, which are the building blocks of structured programming, are one step along this path. In the 1980s, computing took another leap forward with the development of object-oriented programming (OOP). The building blocks of OOP, called objects, are reusable, modular components. Experts claim that OOP will be the dominant programming approach through at least the end of the 1990s. OOP builds on and enhances structured programming. You do not leave structured programming behind when you work with an object-oriented language. Objects, for example, are composed of structured program pieces, and the logic of manipulating objects is also structured. Sequence structure defines the default control flow in a program. Typically, this structure is built into programming languages. As a result, unless directed otherwise, a computer executes lines of code in the order in which they are written. The picture above shows a flowchart of this sequential flow. The commands in the rectangles represent two sequential lines of code. Program control flows from the previous line of code to the next line. The commands are written in pseudo-code, which is an informal language programmers use as they are working through the logic of a program. After the command sequence is developed, the programmers translate the pseudo-code into a specific computer language. Selection structures are built around a condition statement. 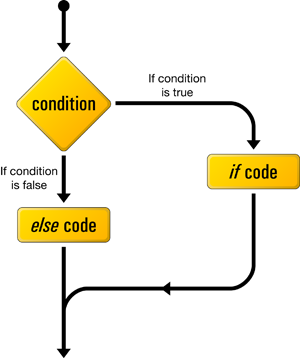 If the condition statement is true, certain lines of code are executed. If the condition statement is false, those lines of code are not executed. The two most common selection structures are: If-Then and If-Else (sometimes called If-Then-Else). The picture to the right shows a flowchart of the if-then-else structure. Repetition (or looping) structures are also built around condition statements. If the condition is true, then a block of one or more commands is repeated until the condition is false. The computer first tests the condition and, if it is true, executes the command block once. It then tests the condition again. If it is still true, the command block is repeated. Because of this cycling, repetition structures are also called loops. Three common looping structures are: For-Next, While, and Do-While.